In 1908 the first Station No. 9 was constructed on this site to serve Spokane's newest neighborhood, the growing South Hill. No. 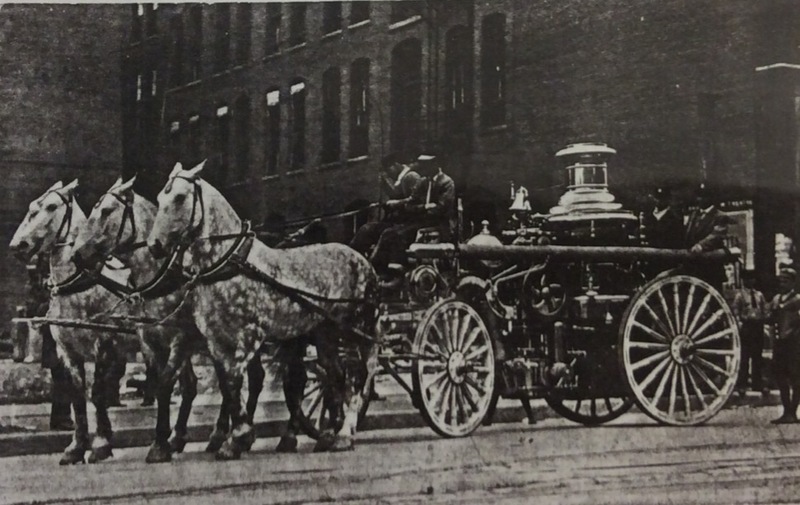 9 housed one combination truck and chemical engine, one 3rd class Silsby engine, one hose wagon, cotton hose, fifteen men, and eight horses to pull the steamer and hook and ladder truck. No. 9 served downtown as well as the South Hill. 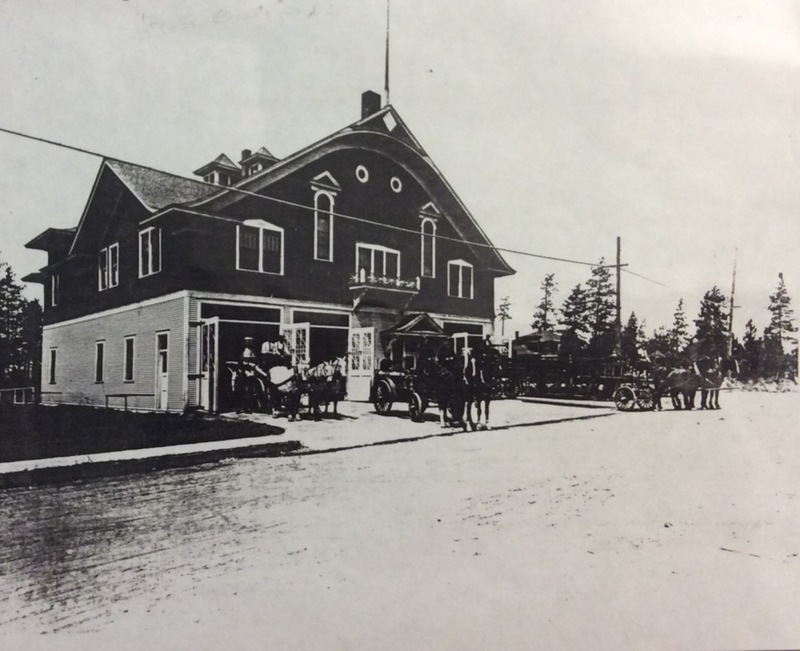 Before the introduction of motorized equipment, "Nine" answered all the calls downtown. In 1912, "Nine" held the Fifth Avenue side of the old Lewis and Clark High School when it went ablaze. In 1930, it was determined that Station No. 9 was in need of renovation and modernization. 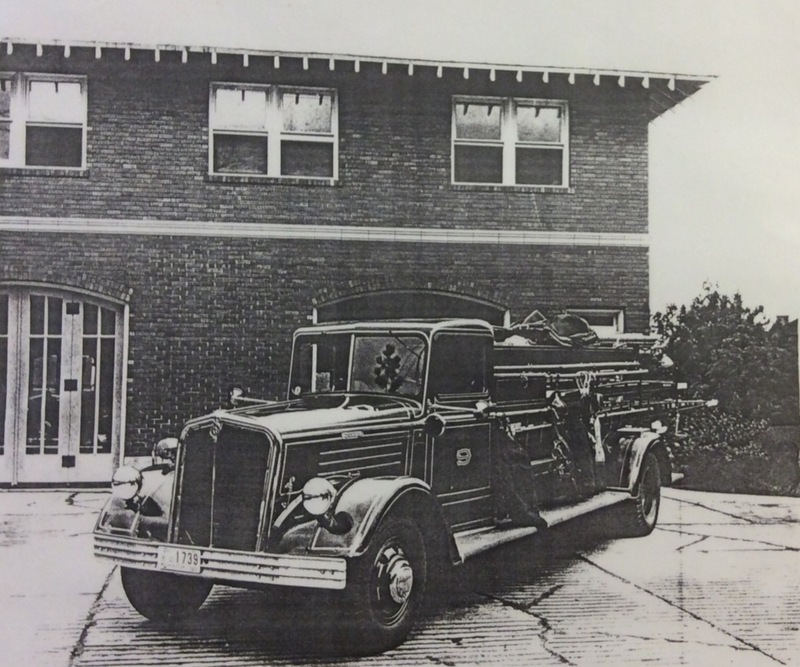 The firefighters at the time were excited to get new facilities, but were simultaneously disheartened to see the old station demolished after just twenty-two years of service. One completed, Station No. 9 would be the last station built to intentionally resemble the architectural craftsmanship of the surrounding neighborhood. 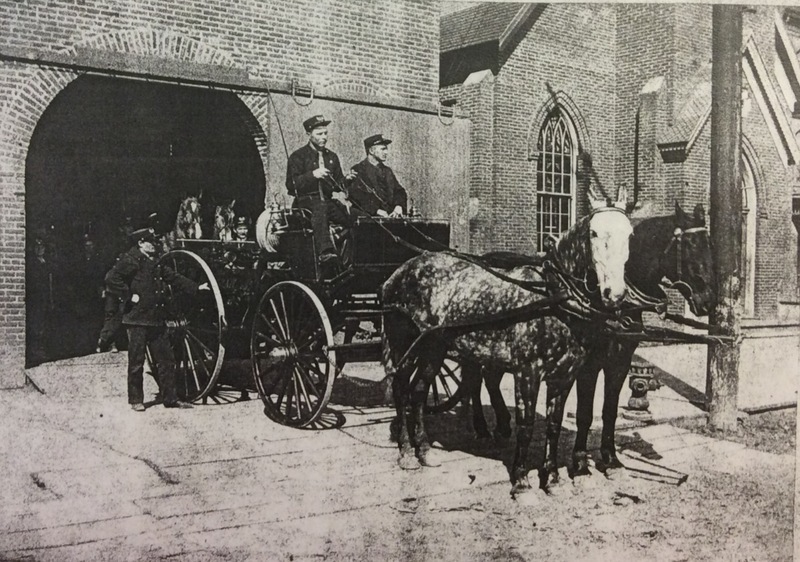 According to a Chronicle news article reported on August 20, 1930, while the wreckers worked on demolishing the old station, the firefighters moved all of their belongings into the rear garage for temporary quarters. They watched the wreckage as dust overcame the once spotlessly shined equipment, the pinochle table, and the signal equipment arranged along the wall. The old brass pole they once slid down to answer calls was saved to go into the new station, "they knew it would take a long time to get a new pole shined up to just the right degree of slickness." 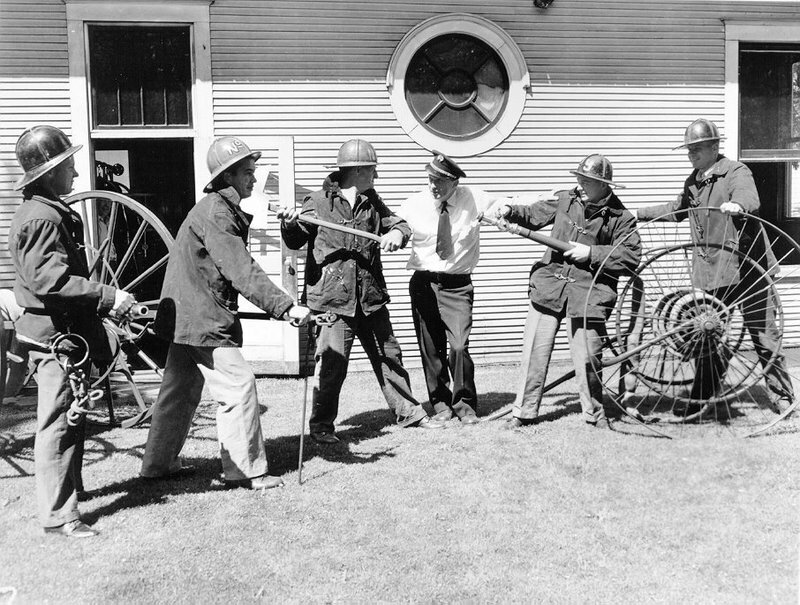 The old pole was something more than just brass and polish; it was endearing and symbolic to the firefighters and their service at Station No. 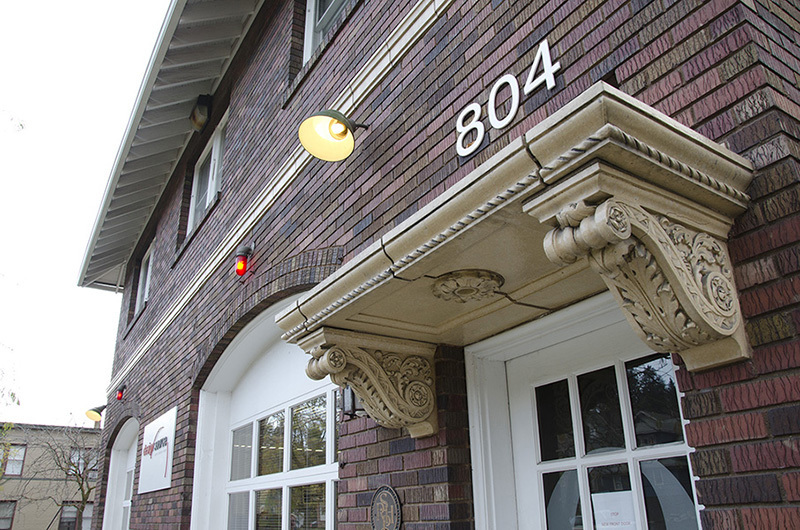 9 and continues to be emblematic to every Spokane firefighter in its presence, as it still occupies old "Nine." Spokane Fire Station No. 9: Old Nine in 2013. 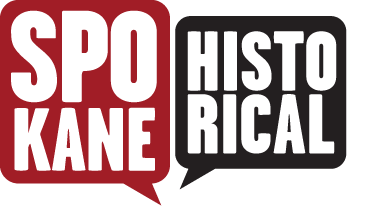 Registered on Spokane Register of Historic Places. Photo Courtesy of Eric Hatton, Spokane, WA. Spokane Fire Station No. 9 Architectural Detail: Old Nine entrance. Photo Courtesy of Eric Hatton, Spokane, WA. Spokane Fire Station No. 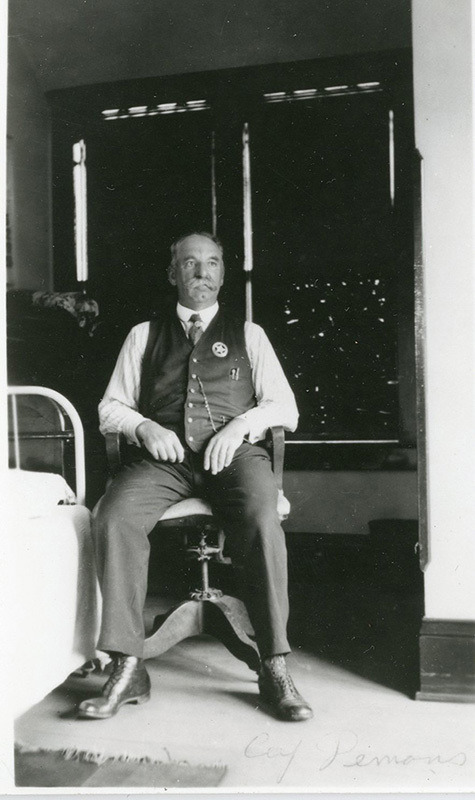 9 Captain: Edwin F. Demmons, Captain, circa 1921. Photo Courtesy of Spokane Public Library, Northwest Room, Spokane, WA. Spokane Fire Station No. 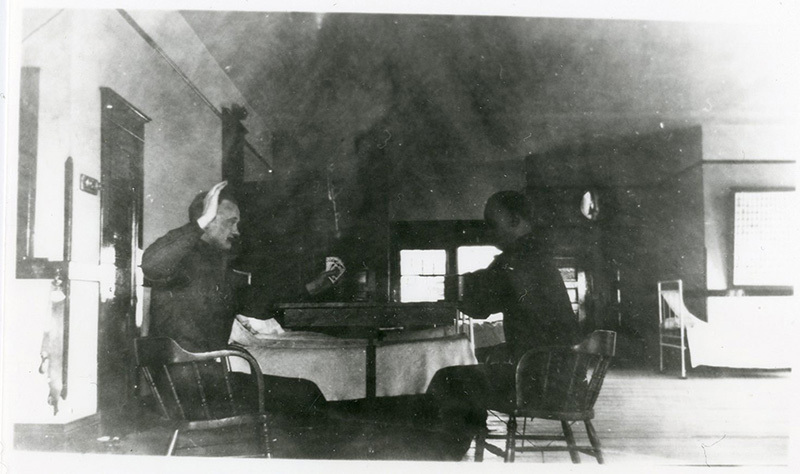 9 Personnel: Upstairs interior, two firefighters relaxing, circa 1921. Photo Courtesy of Spokane Public Library, Northwest Room, Spokane, WA. Spokane Fire Station No. 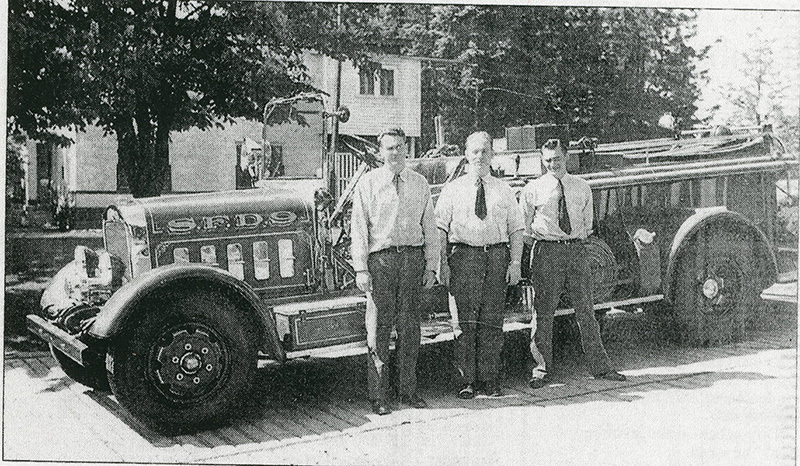 9 Personnel: Engine crew: Bob Snoddy, Ivan White, Gene Bean, circa 1947. Photo Courtesy of Spokane Public Library, Northwest Room, Spokane, WA. Spokane Fire Station No. 9: Mid-twentieth century. Photo Courtesy of Spokane Fire Department, Spokane, WA. Spokane Fire Station No. 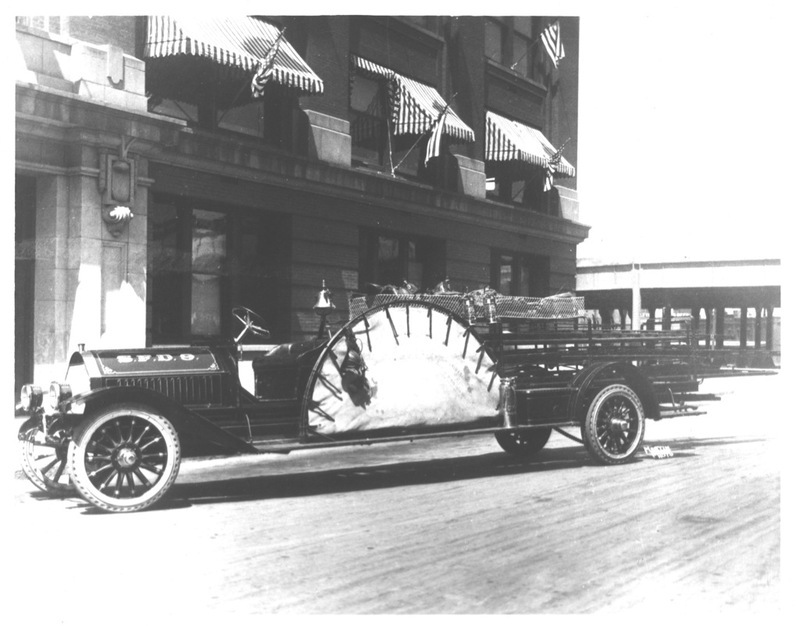 9 Apparatus: Twentieth century ladder truck. Photo Courtesy of Spokane Fire Department, Spokane, WA. Spokane Fire Department No. 9 Horses: Old Nine in the early 1900s. Photo Courtesy of Spokane Fire Department, Spokane, WA. Spokane Fire Station No. 9: Original stick construction No. 9 in 1902. Located at 8th and Monroe. Photo Courtesy of Spokane Fire Department, Spokane, WA. Spokane Fire Station No. 9 Personnel: No. 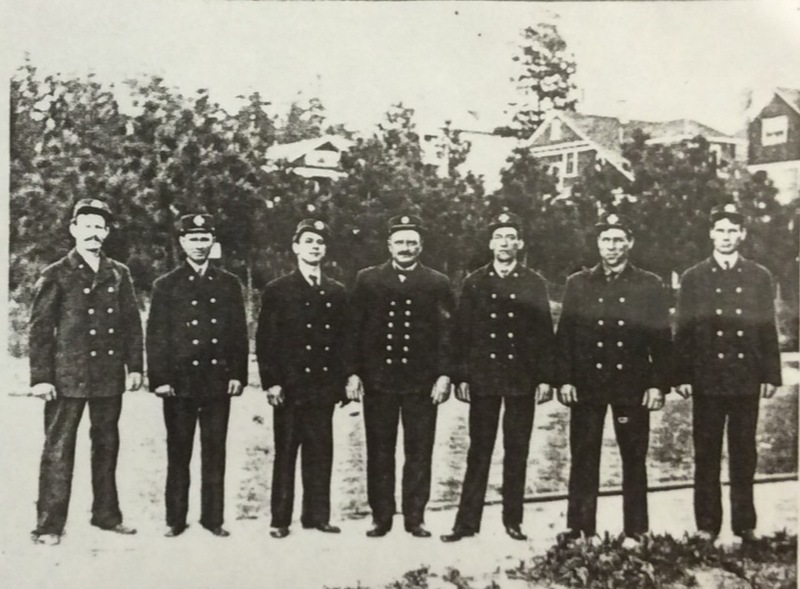 9 personnel, circa 1910. Photo Courtesy of Spokane Fire Department, Spokane, WA. Spokane Fire Station No. 9 Steamer: No. 9 steamer and horses in 1912. Personnel left to right: J.W. Cooper, E.A. Johnstone, unknown, H.J. Stroup. Photo Courtesy of Spokane Fire Department, Spokane, WA. Spokane Fire Station No. 9: No. 9 in 1940. Photo Courtesy of Spokane Fire Department, Spokane, WA. Spokane Fire Station No. 9 Personnel: Image Courtesy of Spokane Fire Department, Spokane, WA. 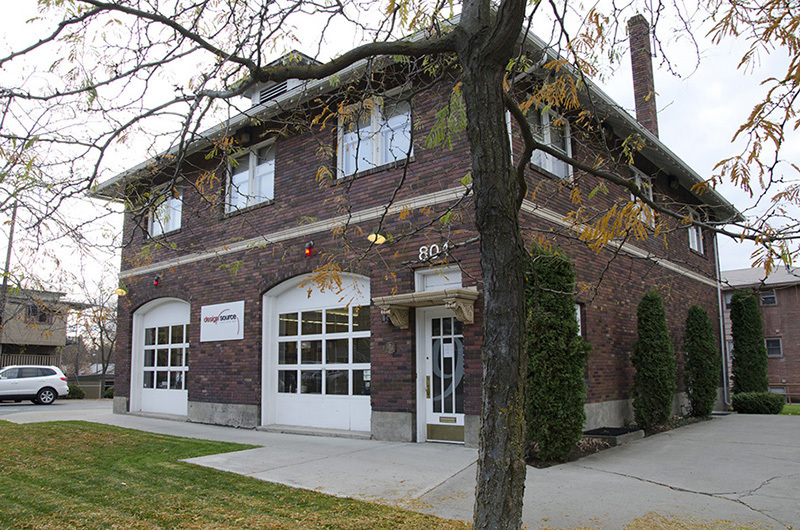 Caitlin M. Shain, “Spokane Fire Station No. 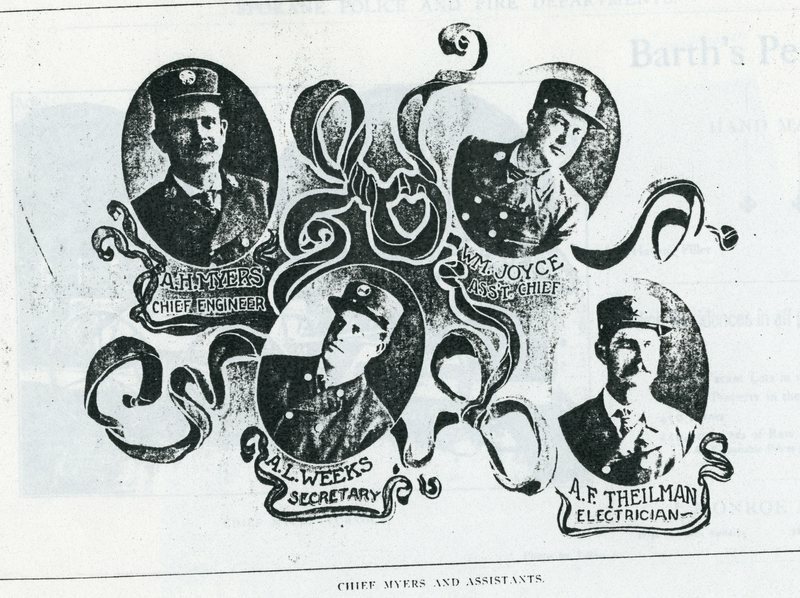 9: Old Nine,” Spokane Historical, accessed April 24, 2019, https://spokanehistorical.org/items/show/260.